On June 20 the Government of Canada introduced Bill C-81in Parliament, the Accessible Canada Act: An Act to ensure a barrier-free Canada. 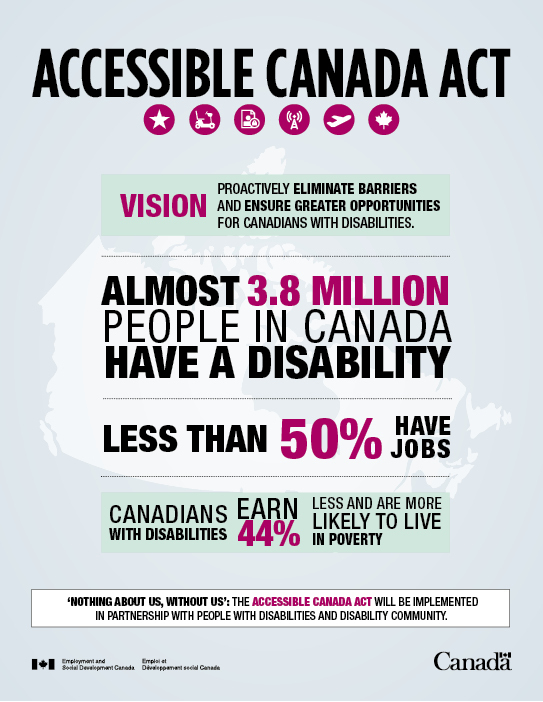 The goal of the proposed Accessible Canada Act is to ensure everyone, regardless of their abilities, can fully participate in our society and our economy. As part of the introduction of Bill C-81, our Government is investing approximately $290 million over six years to further the objectives of the legislation.